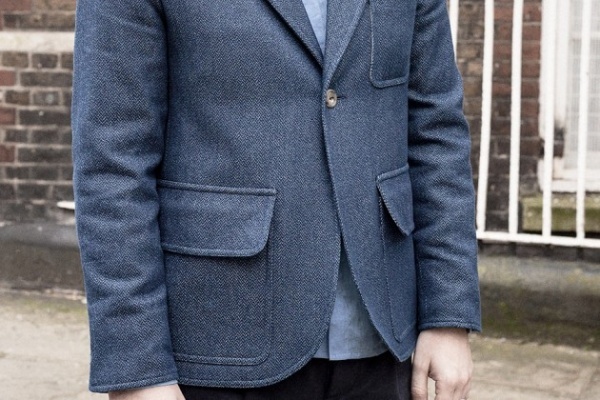 This blazer from S.E.H. 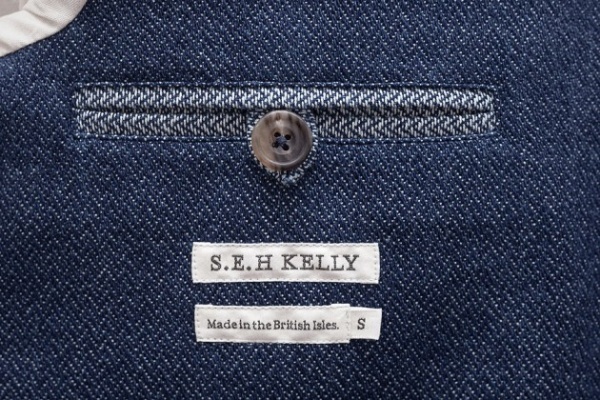 Kelley is made from rope-dyed indigo cotton, hand-woven by a mill in London. 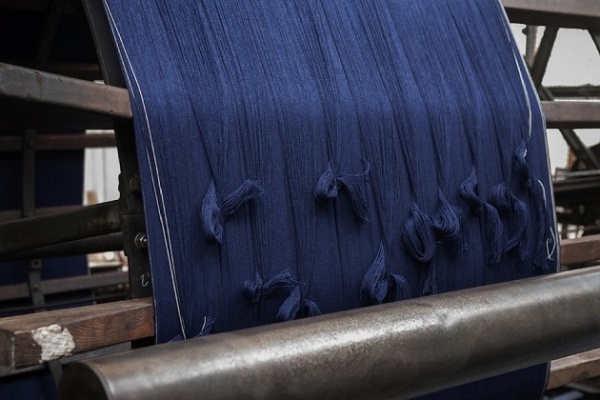 Rope-dying is the most exhaustive way to dye cloth: the cotton is dipped again and again in indigo dye until saturated to its core. Because of this, it is cotton full of color, and that will age well over time. 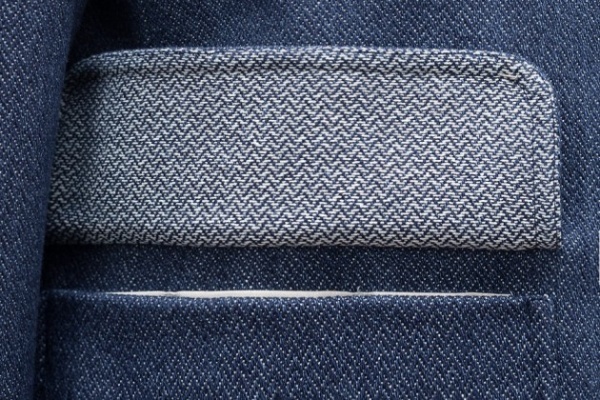 The cloth is a hand-woven twill of indigo and off-white cotton yarn. 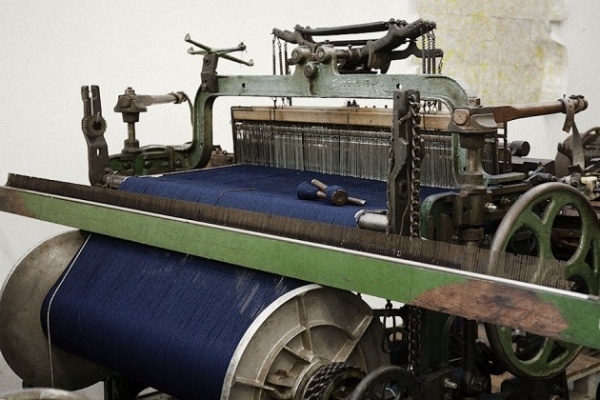 One of the joys of hand-woven cloth is that it tends to have a loose weave, making it breathable and crease-resistant. Though thick, it drapes tremendously well, and can be balled up for days on end and yet emerge entirely unruffled. 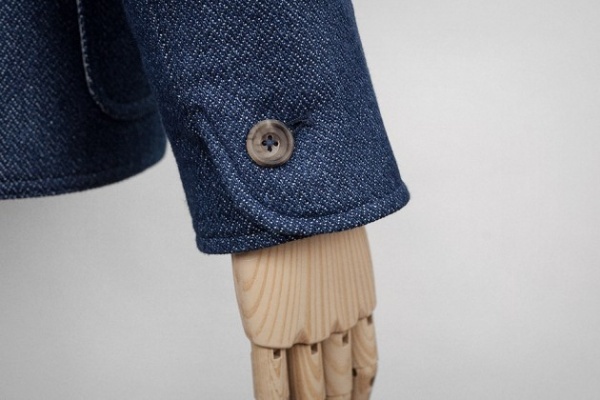 One-button jacket made from hand-woven rope-dyed indigo cotton. It has a horn button fastening, and is lined with off-white cotton. 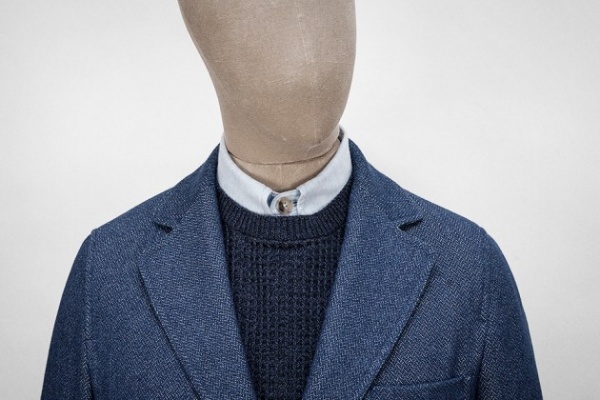 Each jacket comes its own 16-page making-of newspaper, which in particular documents the winding and weaving of the cloth in London. You can pick up one of these special garments now at S.E.H. Kelley. 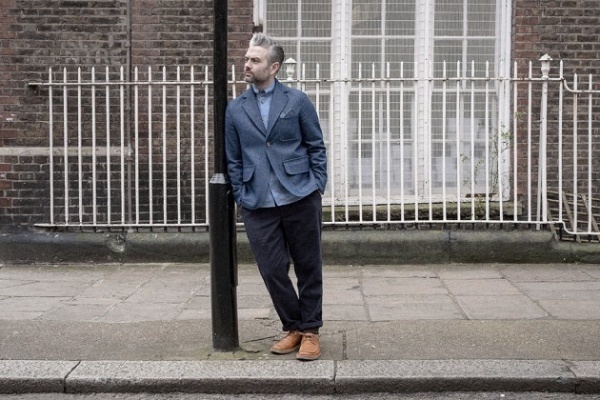 This entry was posted in Blazers, Tops and tagged blazer, Cotton, Herringbone Twill, Horn Buttons, Indigo Cotton, jacket, London, S.E.H. Kelley, Yarn Dyed. Bookmark the permalink.